We are a small passionate studio, based in the south of Adelaide, South Australia filled with our gorgeous antique printing presses. We specialise in letterpress, bespoke foil printing, embossing and graphic printing. 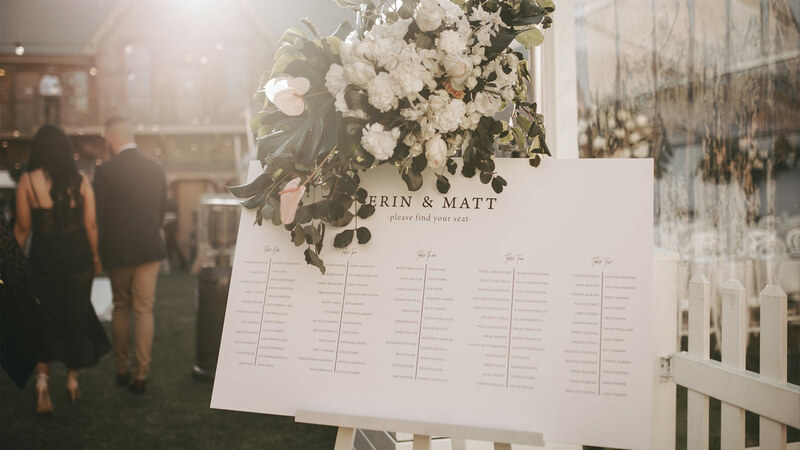 Every little detail is taken into consideration for each project and we ensure the highest standards of finishing while offering a more personalised approach to organising stationery. Please contact us for more details. Ahhhhh!! I LOVE THEM!!!!! You are AMAZING!!! You have captured EXACTLY what I was imagining and it’s even better!! I can’t stop smiling at it!!!!! Thank you again for the amount of hard work and effort that you put into making all of our invites, envelopes, ceremony booklets, welcome sign, name cards and all of the other little bits and pieces. Thank you for your patience and kindness along the way also. We truly love what you have produced and we will be highly recommending your work to our friends and family. I just wanted to send an email to thank you for all the beautiful stationery you did for our Wedding. We got many and many compliments on it all and appreciate all the effort you put into it. 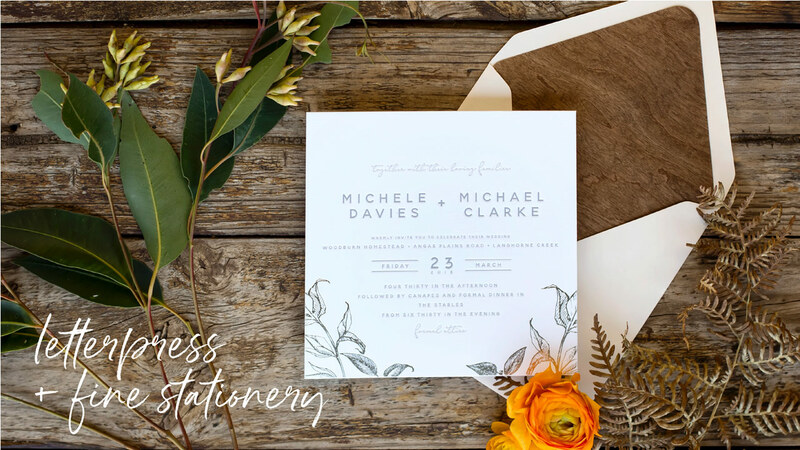 We loved being able to work with you to create our stationery so once again thankyou! Thank you for making timeless stationary for us. We have been receiving great feedback. Lots of “I’ve never seen this before”, “This is amazing”, “Is this real leather”. We are totally in love with them! Thank you so much, we couldn’t be happier. 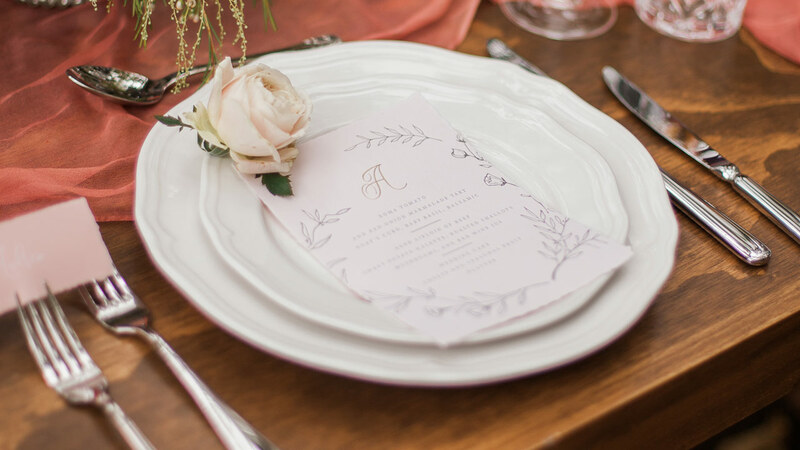 The messages have not stopped flooding in about how beautiful our invitations are. Every day it’s someone new with different reasons for loving them. My 90 year old grandmother said they are the most beautiful invitations she’s ever seen… and she’s seen her fair share of wedding stationery over the years. And a friend showed his dad who owned a paper company and learned on the old letterpress and said they are as good as you can get!! It makes the lead up all the more exciting! You have a wonderful talent.